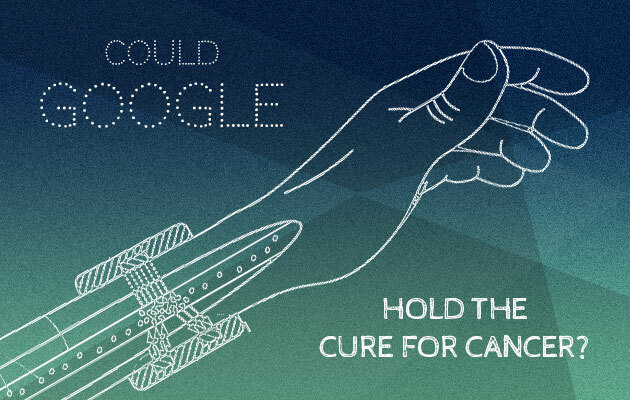 Could Google Hold the Cure for Cancer? Google has filed a patent application for a device which would be worn on the wrist and could destroy cancer cells in the blood. This patent comes after it also emerged in October last year that Google X, Google’s research lab was developing a pill that could detect cancer and other diseases, suggesting that Google has been working hard on its anti-cancer technology for some time. The patent has been filed with the World Intellectual Property Organisation and has been named ‘Nanoparticle Phoresis. The device works by automatically modifying or destroying “targets” in the blood which “have an adverse health effect”. These “targets” could mean hormones, enzymes, cells proteins or other types of molecules that if present, can affect the wearer’s health or medical conditions. The device works by transmitting energy into the blood vessels that are able to modify the dangerous targets, therefore potentially removing or reducing the potential of health risks for the wearer. Google has said that they want to make treatment of diseases like cancer ‘proactive rather than reactive’, ie detecting them early and raising the chances of curing them. What else is being worked on in Google’s semi-secret research lab? Google is not just a giant search engine, rather also a leading scientific researcher, it seems. Research and development in several different areas is undertaken at ‘Google X’; a lab run by Google in California dedicated to developing major technological advancements. Project Loon: Project Loon is an initiative which attempts to connect the whole world to the internet via releasing balloons into the stratosphere and creating a huge wireless network in the sky. Self-driving Cars: Google began their Google X lab with the development of a self-driving car back in 2010. Project Glass: The Google Glass project was Google’s attempt to break into the wearable technology market with a pair of glasses which could be controlled by voice. Project Wing: This is a project that aims to deliver products across a city in a minute or two by using flying vehicles.